When I was in Dayton OH for the yearly Dayton Hamvention (Amateur Radio Hamfest) I passed the Tucson Amateur Packet Radio booth. 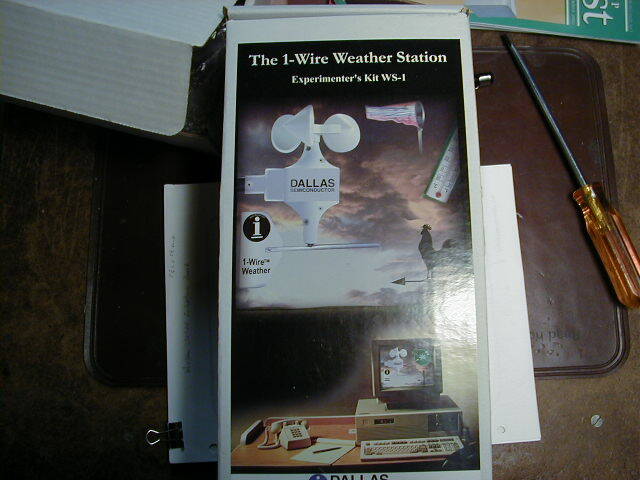 They had built a kit for the One-Wire Weather Station. So, I just had to buy one to play with. The kit's model number is the TAPR T-238. 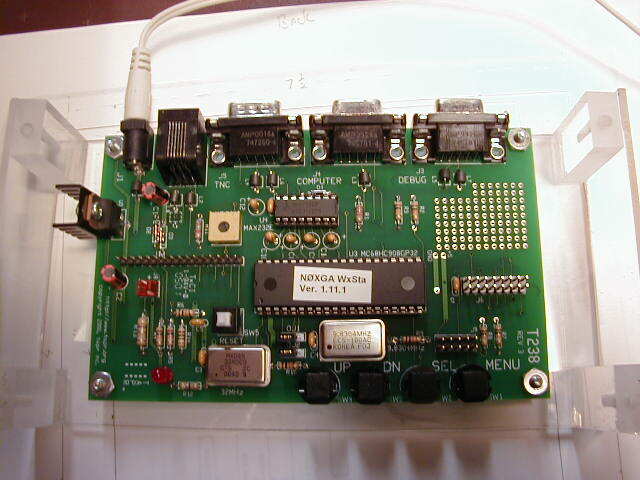 It is a general purpose Motorola HC68HC908GP32 micro controller-based board intended for use with the 1-wire bus and any device that needs a serial connection. Four pushbuttons switches and a Liquid Crystal Display provides the user interface. 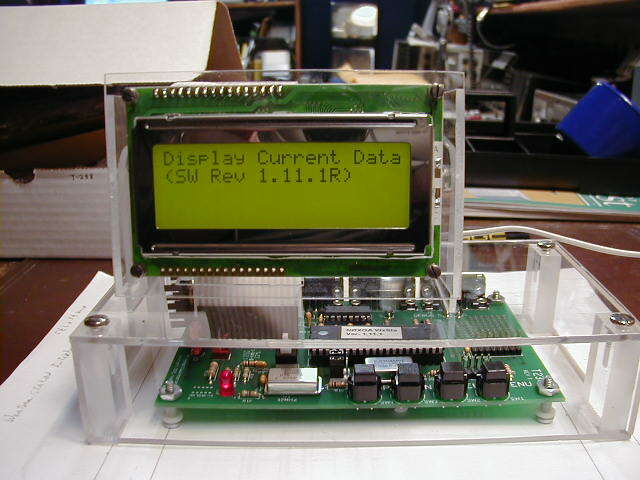 The initial application for the T-238 is a controller that accepts data from a Dallas Semiconductor weather sensor unit, processes it, and formats it for sending either directly to a Terminal Node Controller (TNC) for broadcasting in APRS format or to a computer for further processing and/or logging. There is nothing about this board that makes it solely a weather station. This is just a first application. Please check out their web site http://www.tapr.org/. You can also order the kit from their web site. I still need to do some additional work on the weather station. I need to bring the station into the house and connect it to the work bench and calibrate the T-238 interface. Also the weather station is not accurate when it is out in the open with respect to the temperature sensor. The sensor is enclosed in the weather station and the Sun will heat up the enclosure causing it not to be accurate. Some of the station owners have built the temperature sensor in an external enclosure so that the surrounding air will circulate around the sensor making it more accurate. Also, some of the folks have interfaced a barometric sensor in the weather station. So I still have some work to do. I will update this project and tell you how we built the other two sensors so stay tune. Not sure when I will get this started. Well, hope you get some good information out of this project.